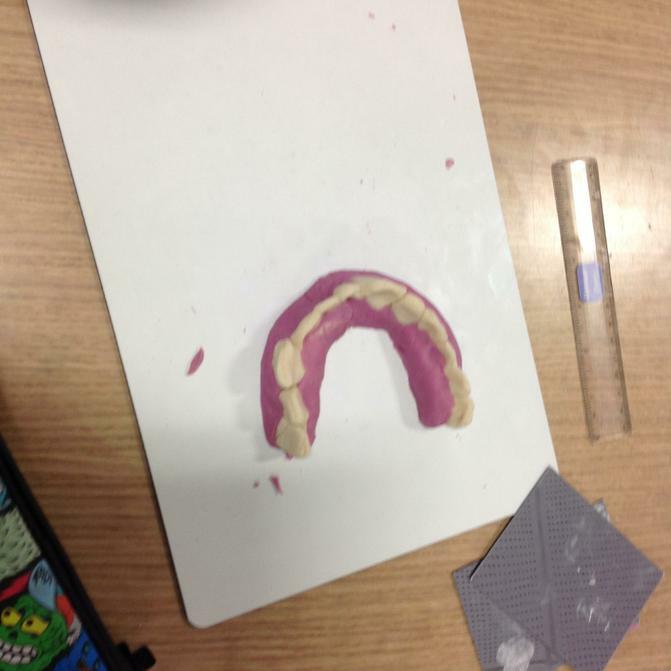 Year 4 Knights were 'Fixperts' this week. 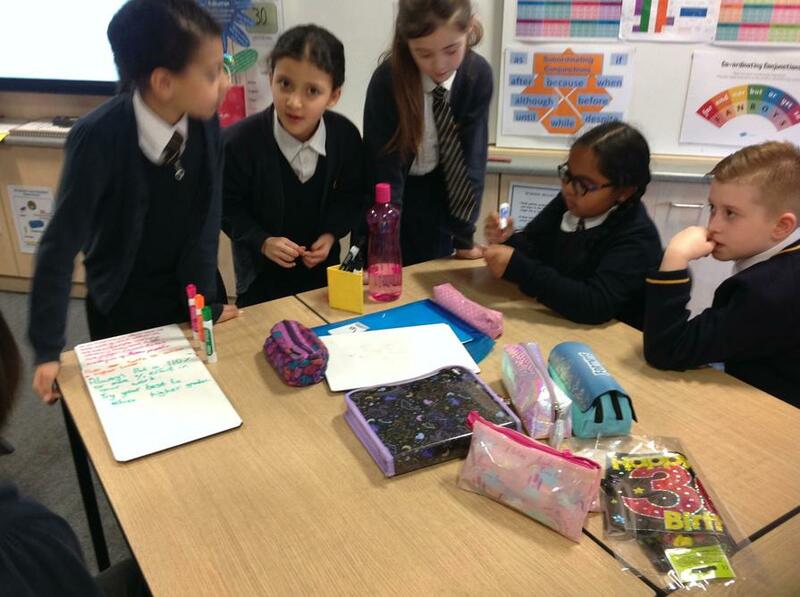 They were using their creative problem solving and designing skills to solve real life problems for real people. Linda was struggling putting her King size duvet cover on her King size duvet. Linda came to school with her King size duvet cover and King size duvet. She showed us the difficulty she had getting her huge cover on the duvet. We wanted to help! We used simulation to understand the problem. 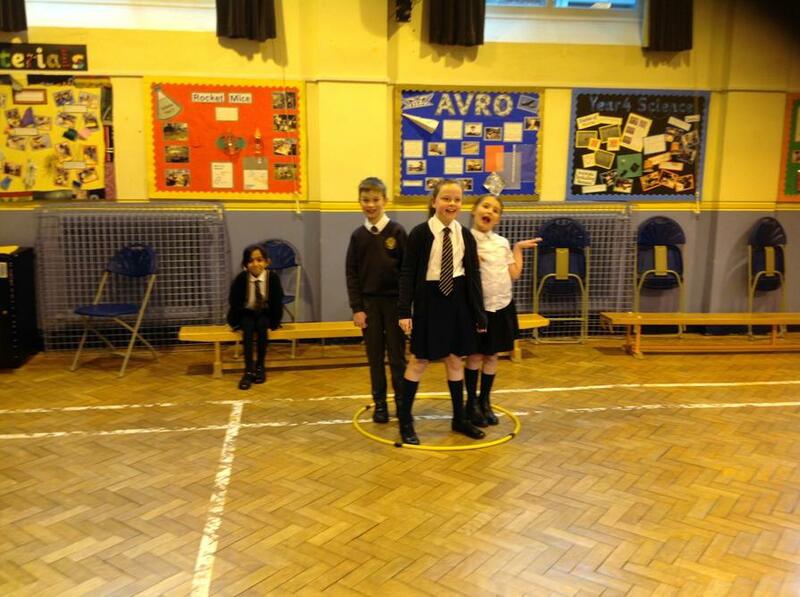 We used creative designing skills to solve the problem. We were motivated to achieve our best and eagerly implemented our ideas. 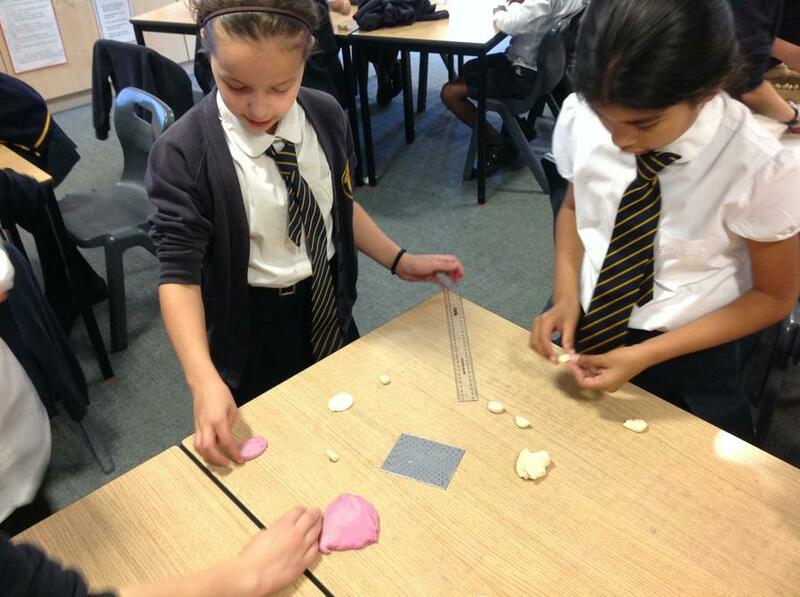 We evaluated our designs and made improvements as needed. Year 4 Knights came dressed up as their favourite book characters for World Book Day. They read out extracts and talked about their favourite books and then took part in a book swap with other pupils in the class. 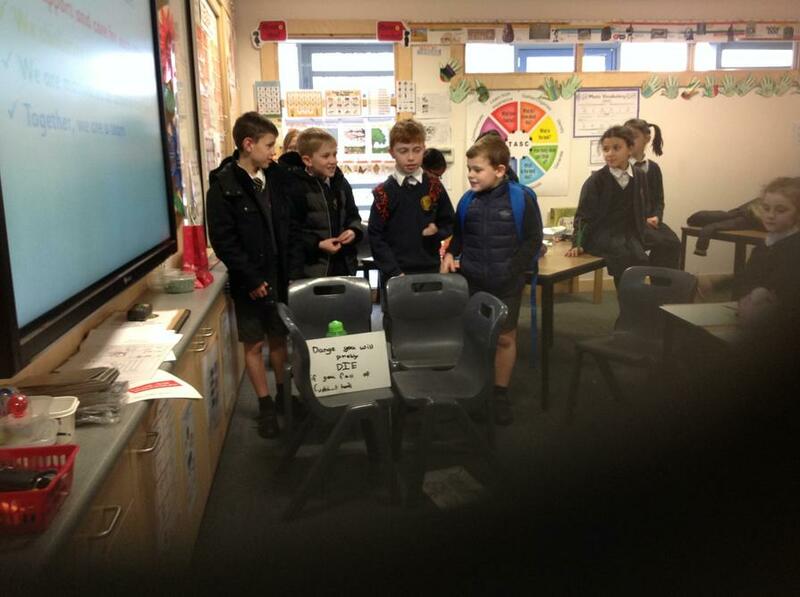 Learning all about the life of a child in WWII in History, Year 4 pupils were all ready and raring to go to the Stockport Air Raid Shelters to find out even more. 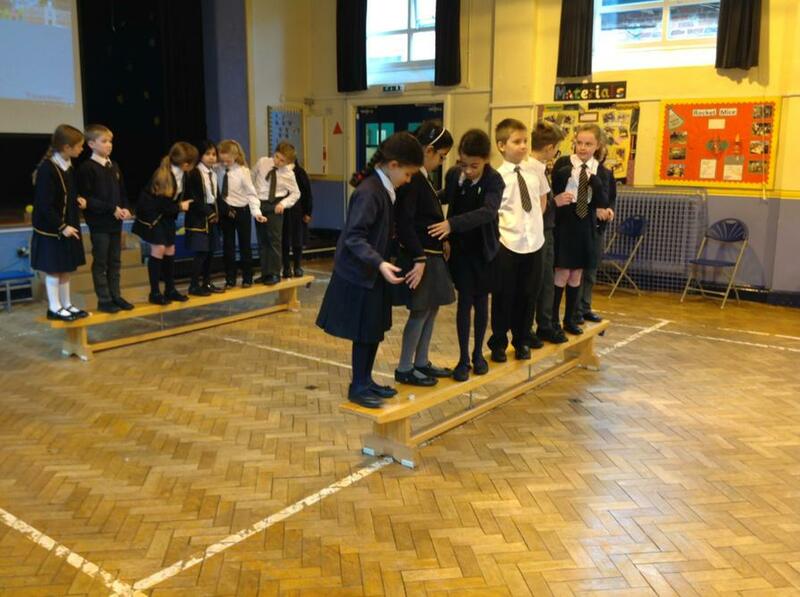 First, children put themselves into the role of an evacuee as we walked through the shelters. After a rationed WWII lunchtime, children were ready to visit the museum. At the museum, children dressed up and learnt about the home life of families living during the war period. 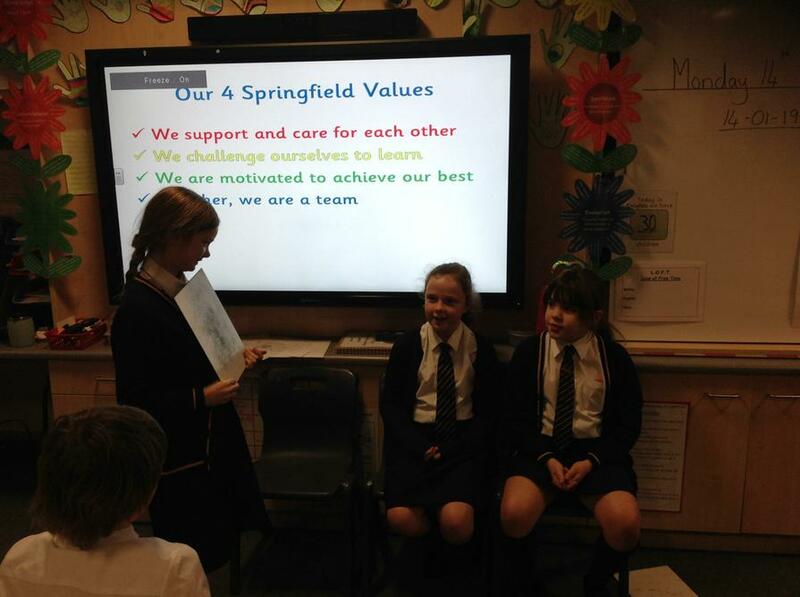 Overall, we had an amazing trip and all the children were superbly behaved demonstrating all the Springfield Values – Well done, Year 4. 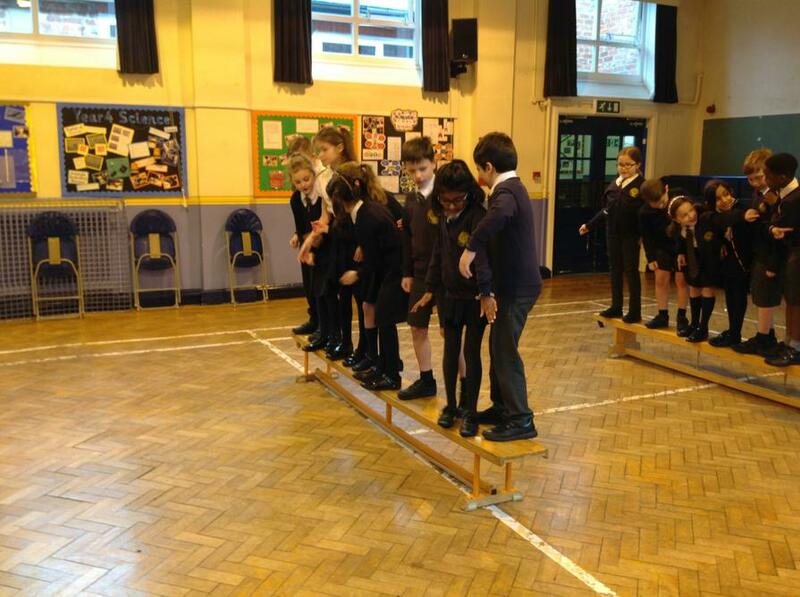 Year 4 Knights took part in a Roman TASC day. TASC stands for ‘Thinking Actively in a Social Context’. 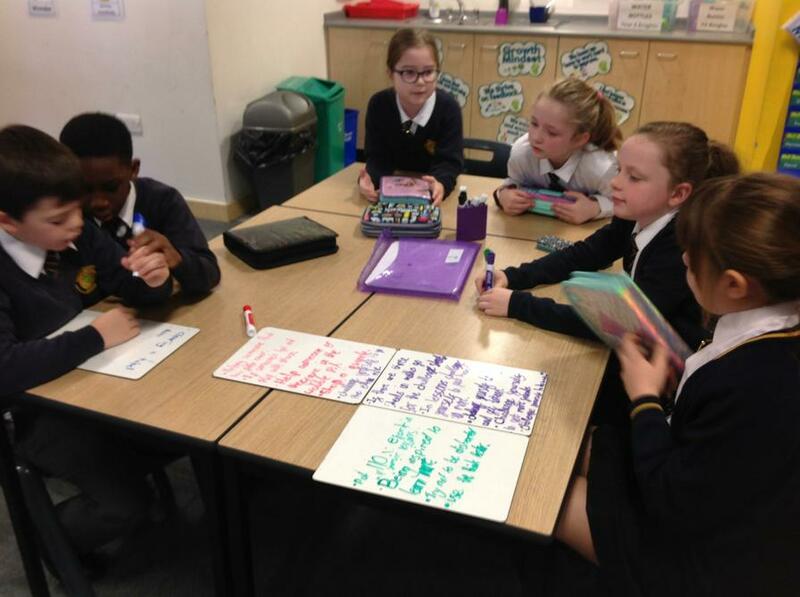 This is an approach which we use to create experiences that challenge and engage our pupils and allow them to go on a learning journey independently. The photographs below show all the amazing journeys the children took. 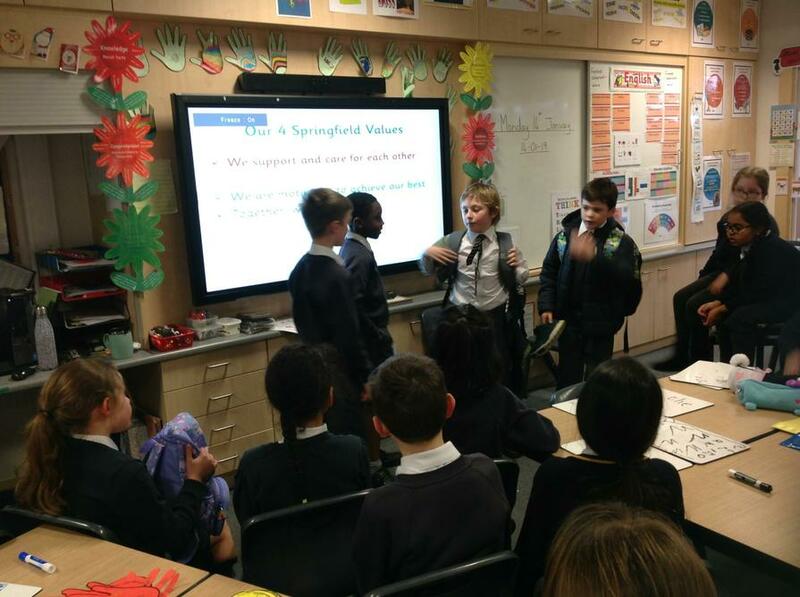 Today in Year 4 we had lots of fun learning about the four Springfield Values. 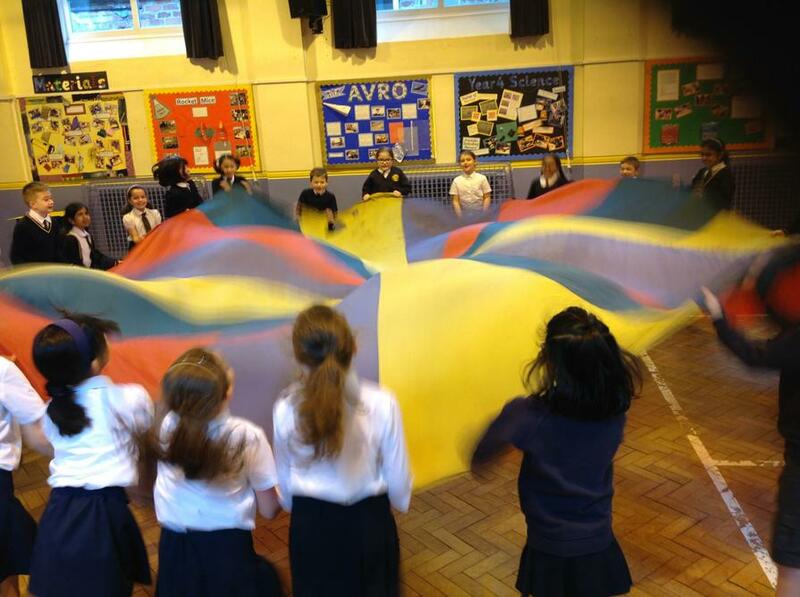 We took part in lots of different activities such as drawing, team building and role play and these activities helped us to understand what each of the four values mean. 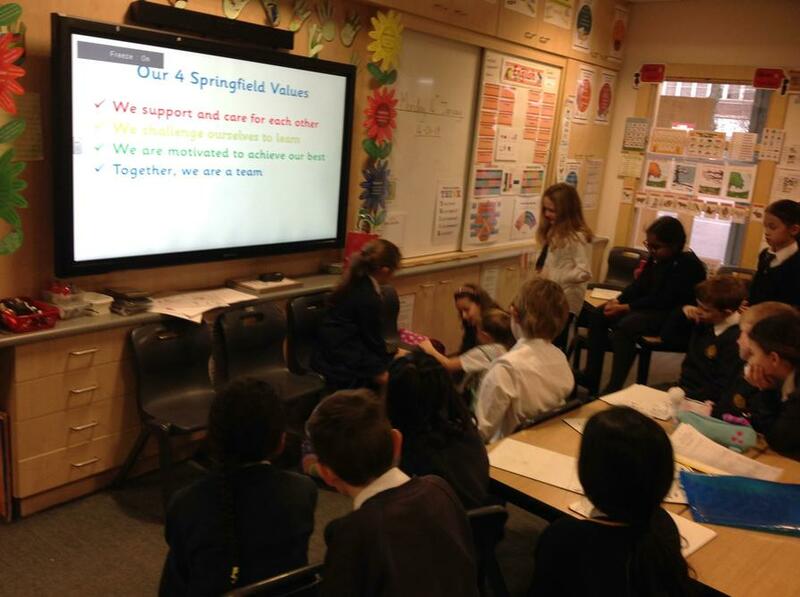 We hope as a class and as a school to demonstrate these values every day and show what being a member of Springfield Primary School actually looks like. Mrs Platt and Mrs Saleem would like to thank all the children and parents for the lovely Christmas presents we have received. We are really touched by your kindness and generosity. Finally, we would like to end the Autumn Term by wishing all the children, parents and carers a Merry Christmas and a Happy New Year. 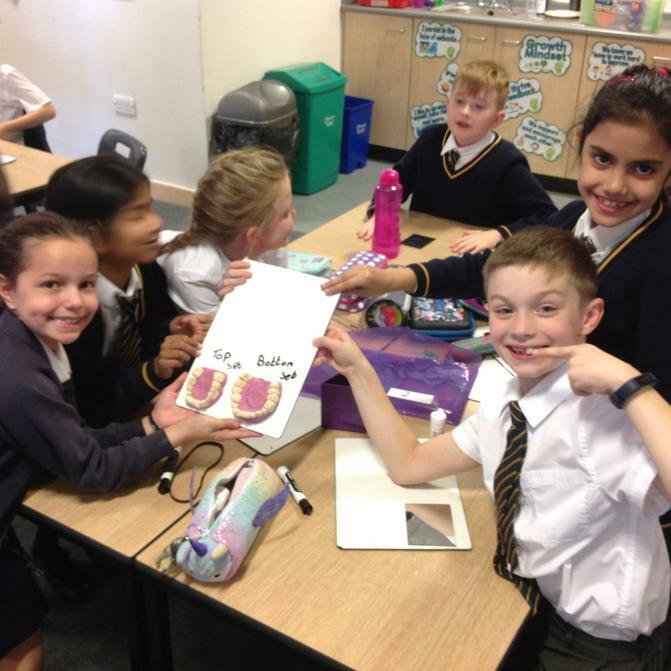 As we approach the end of the Autumn Term, we would also like to say a 'big thank you' to the children for their wonderful effort and excellent attitude they have shown in their school work and behaviour in and around school. 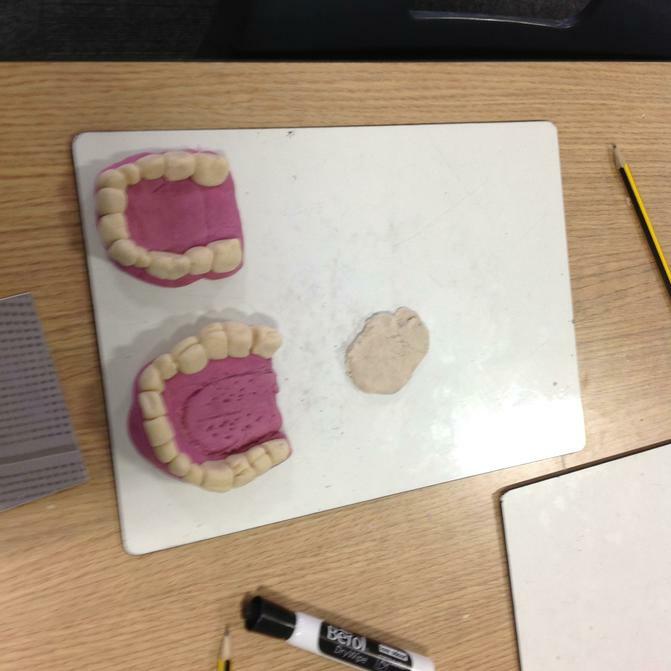 They have been an absolute delight to teach. 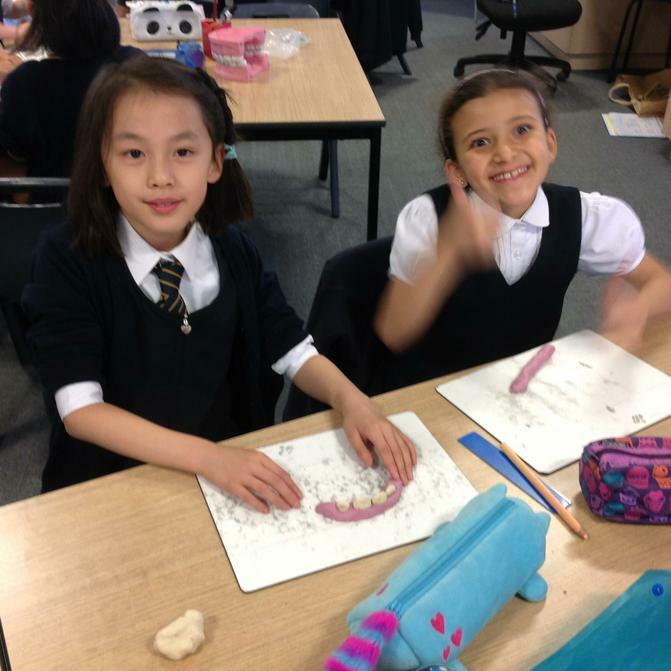 Mrs Saleem's and Mrs Platt's Math Set working on fractions. 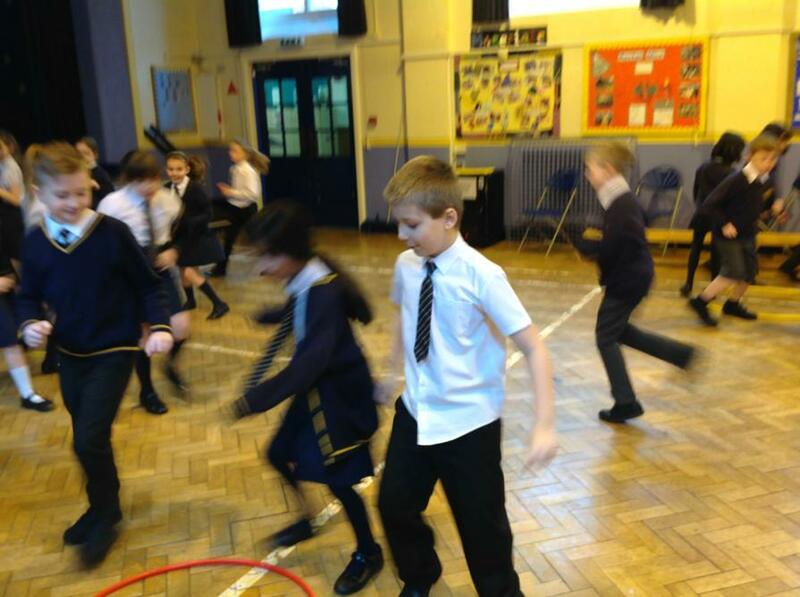 Year 4 are learning about Electricity in science this half term. 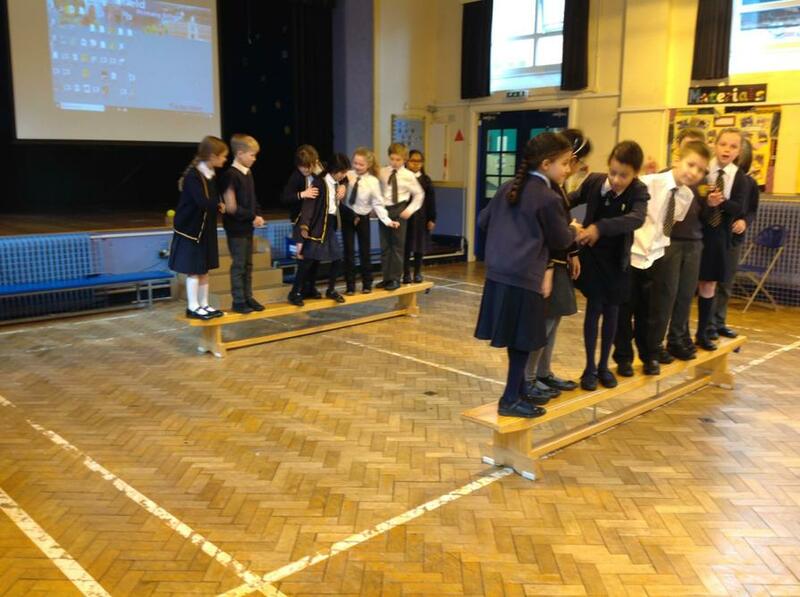 As part of this topic, children were given a variety of materials and asked to construct their own switch. 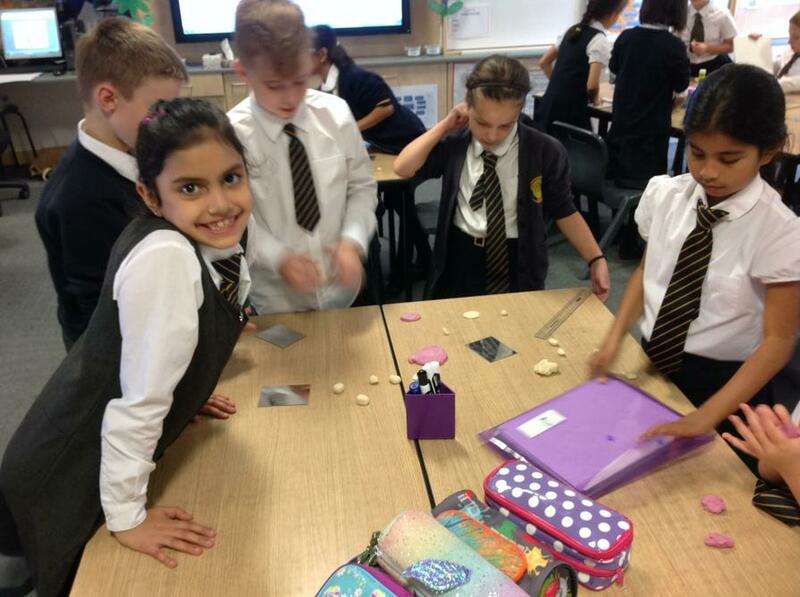 Children discussed how switches work in groups and then began to experiment with the materials provided. Children created a variety of switches. 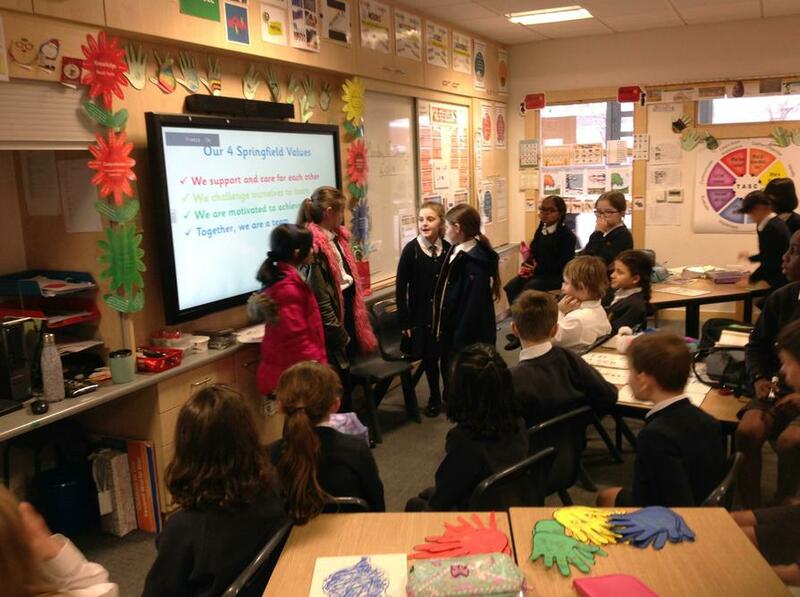 As part of anti-bulling week, Year 4 children created some amazing acrostic poem on the topic “RESPECT'. 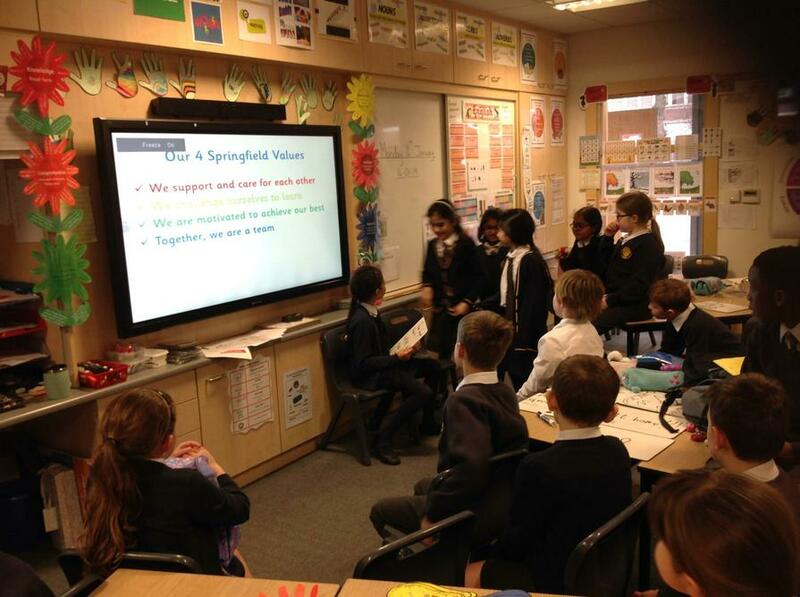 They really enjoyed performing these poems to the class. 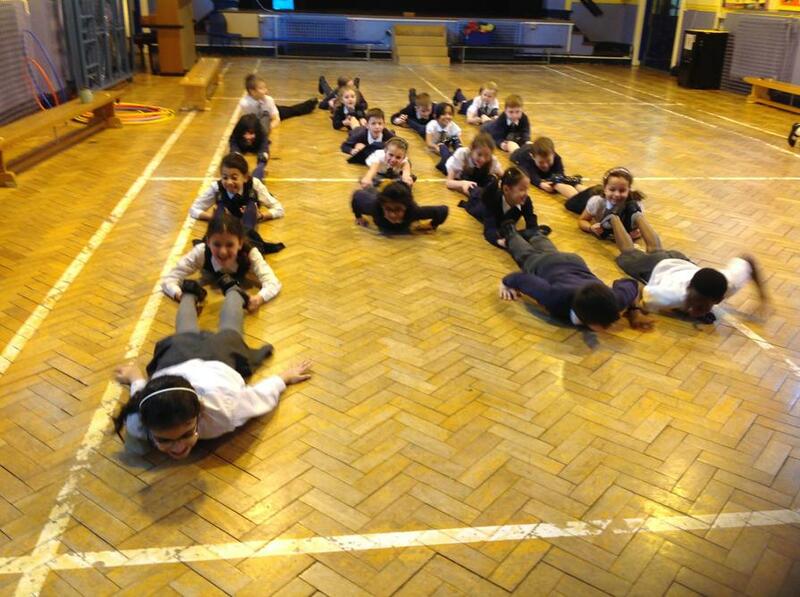 Year 4 have been learning about the legacy of the Romans. Many things that form part of everyday life were introduced or improved by the Romans. Over the centuries since the collapse of the Roman Empire, Romans’ ideas, literature, art and architecture have influenced many people around the world. What an amazing time was had by all in Chester on Tuesday 16th October! 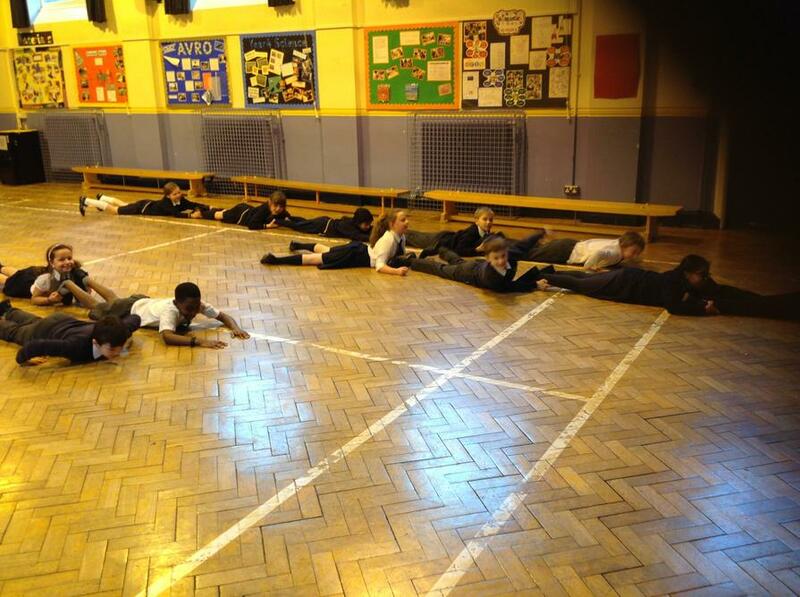 Year 4 learnt what a tough life it was being a Roman soldier. Armed with battle shields, they marched as soldiers under the ‘strict’ instructions of an experienced legionary to the Roman amphitheatre. Children watched in horror as a gladiator fight took place between parent volunteers but we are glad to report that no-one was hurt. 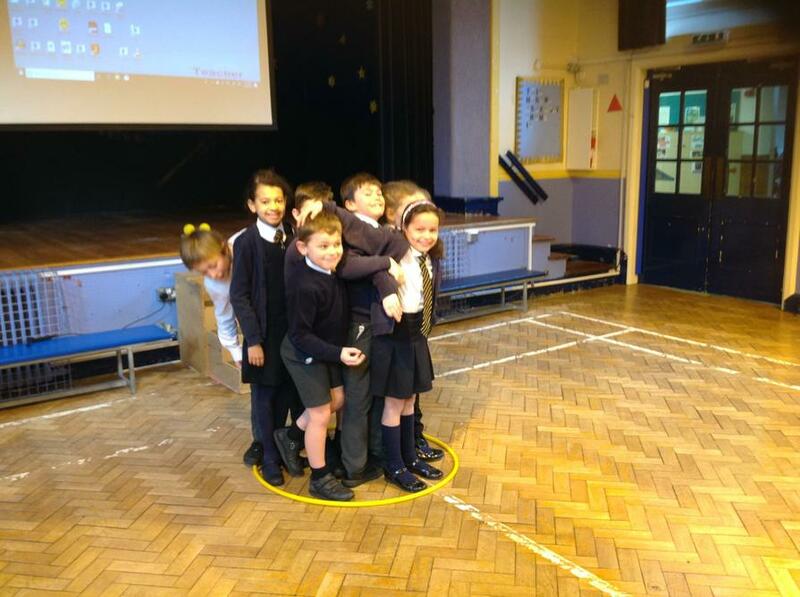 Year 4 Knights demonstrating in school what they have learnt from completing their science research homework. 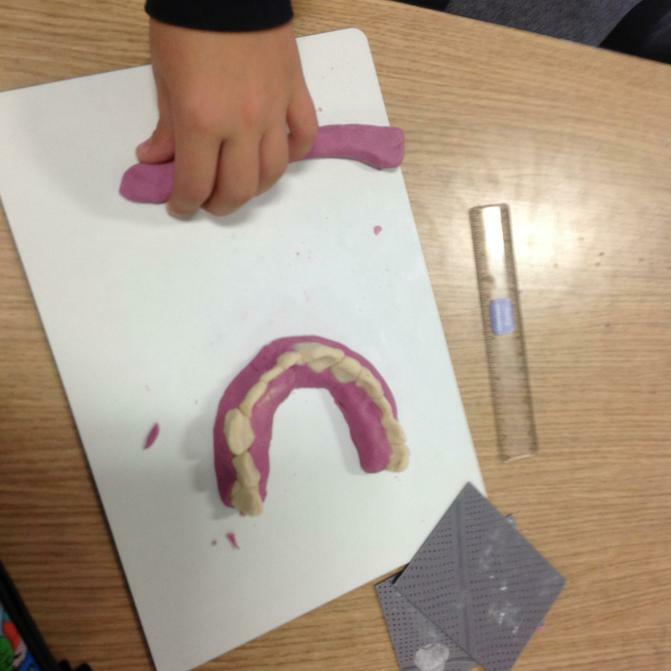 Children were asked to use salt dough to produce a model of their teeth and then discuss why the teeth were different shapes and link to the functions of the teeth. 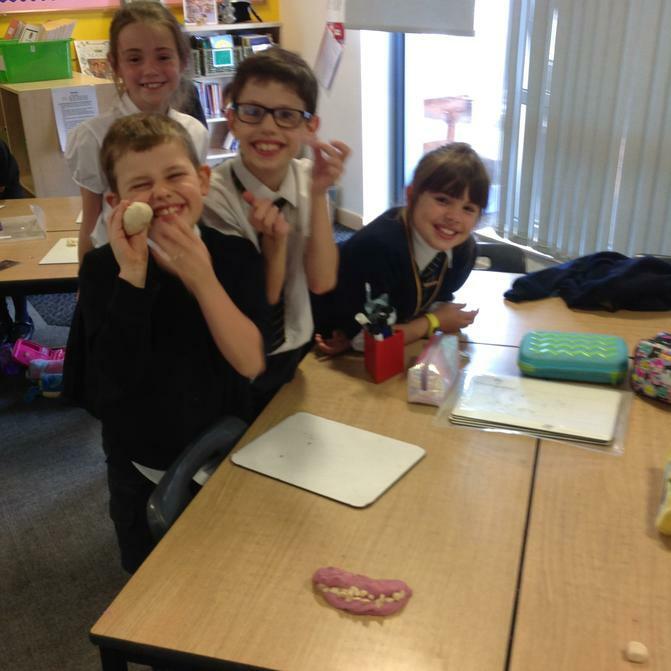 Some children went onto to complete the challenge and discuss why other animals have different teeth according to their diet. 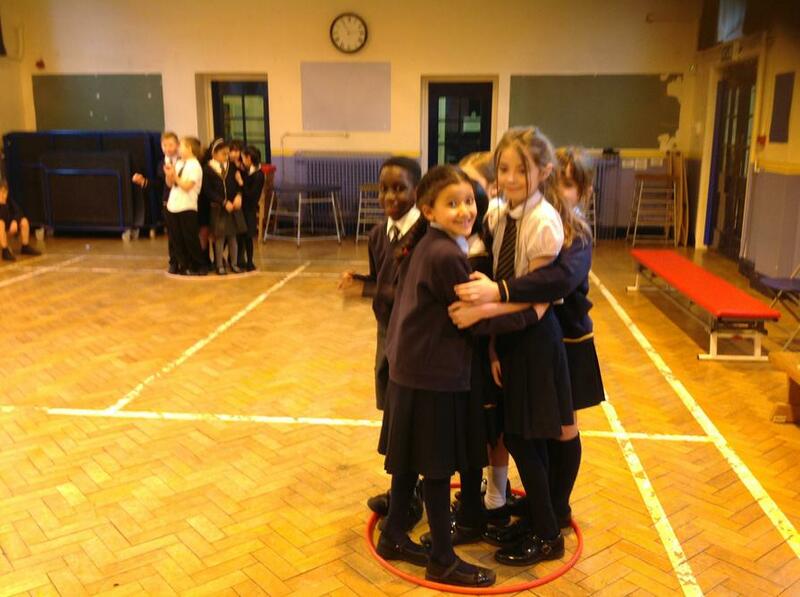 The children had a brilliant time learning! 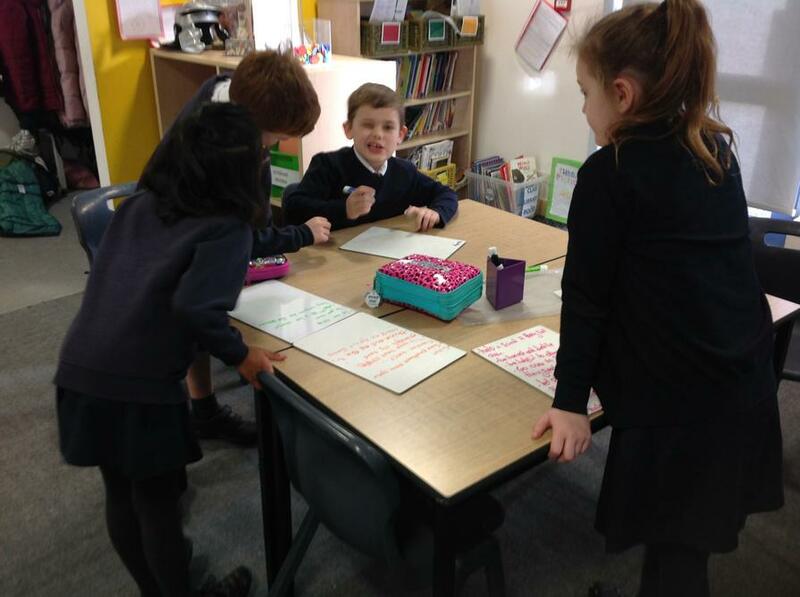 Knights working extra hard and putting in 100% effort, as a class, to produce an excellent piece of shared writing. A child thinks of a number. She says 'The number 1,000 more than my number has the digits 1, 2, 3 and 4. The number 1,000 less uses the digits 1, 3 and 4. Challenge successfully completed by two bright sparks. 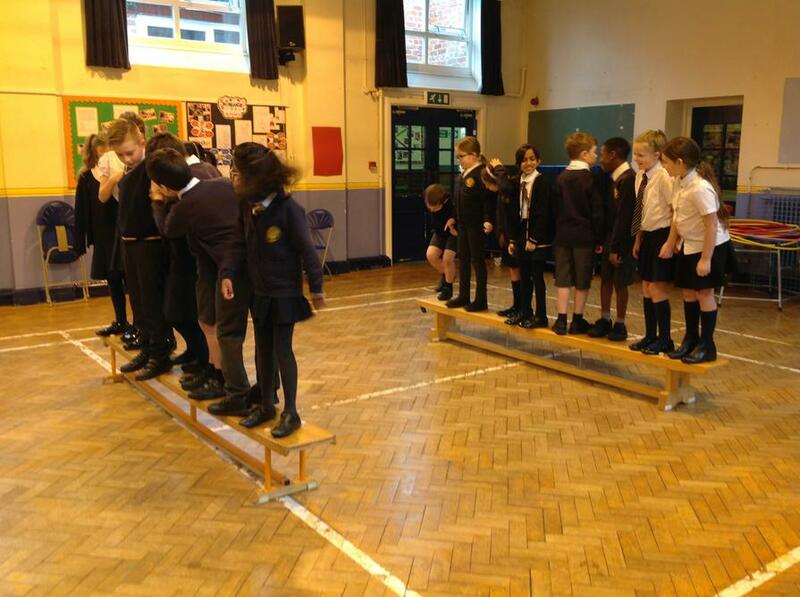 We would like to say a huge welcome to all our pupils, parents and carers to Year 4 Knights. 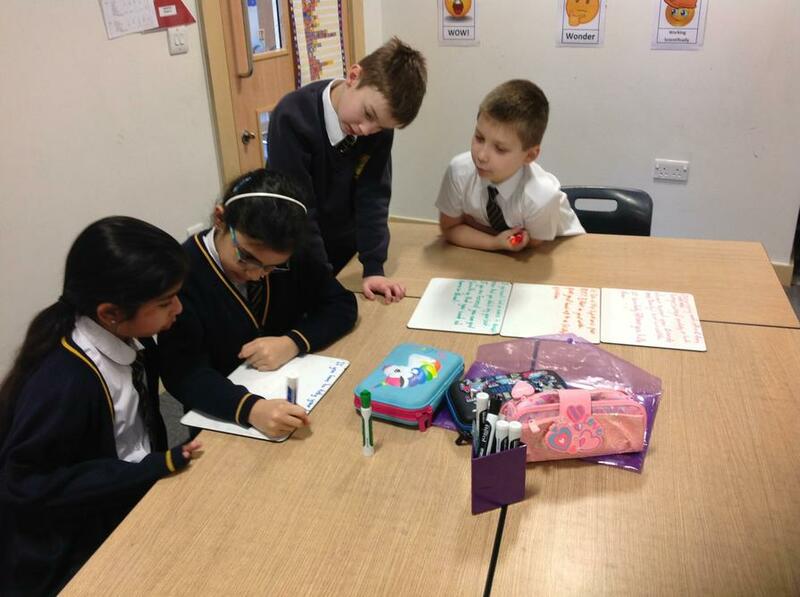 What a great start we have had with children creating a Class Charter that outlines rules that will help Year 4 Knights to learn better in our class environment. 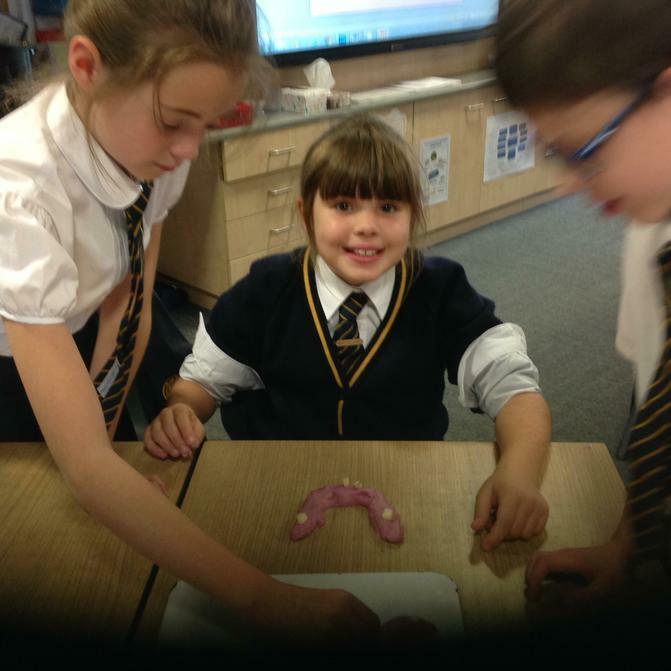 In Science, we have been learning about the human digestive system. We all had fun conducting a hilarious experiment that demonstrated digestion with a class of slightly nauseated school children, a pair of tights and a potato masher! 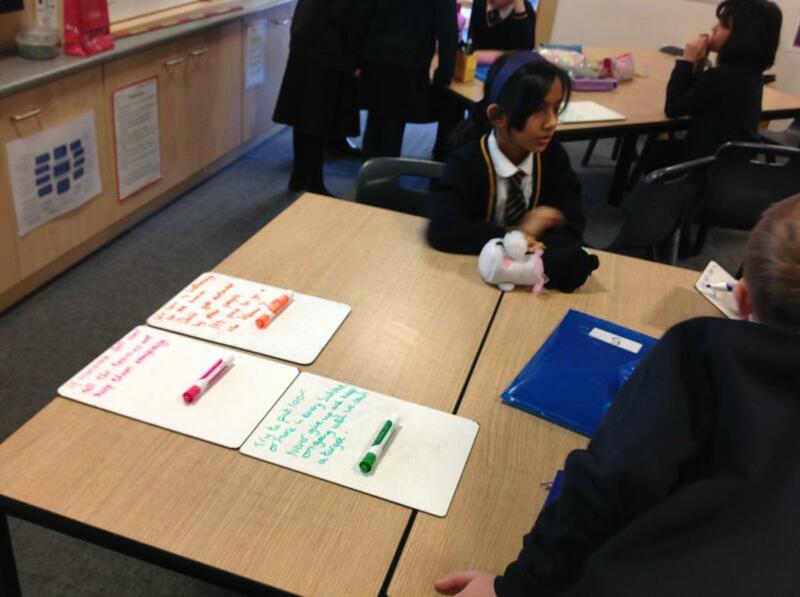 In English, children have been learning how to write dialogue using inverted commas.